Wrap protect and change the colour of your project. Liquid vinyl spray, tough, elastic, durable film that's removable. Full Dip Cake Pink Candy Pearl Can change the colour of your full dip project. Car, motorbike, alloy wheels, badges, emblems, grilles and interior Trim. Use around the Home or Garden, arts & crafts. You can full dip almost anything. Our Full Dip aerosols include two nozzles, each designed for a function: standard nozzle flow and high-flow nozzle for larger areas. Simply swap them to get the fan size you want, wide and wider. More than 25 colours Pearl Candy Spray 400 ml exclusive format from Full Dip. Each Candy Pearl reflects differently in sunlight, offering a range of unique and deep colors. Use a base color of full dip black or white to improve the final finish of the pearl colour. Apply over a base coat of full dip black or you can try full dip white base coat for lighter result. Apply the base coat as required until you get full coverage, at least 1 dusting coat and 2 wet coats, allowing drying time between coats. Then 2 or 3 wet coats of your candy pearl colour. Check out the complete range of amazing candy pearl colours that will look good on almost anything. Will wrap, protect and change the colour of your project. You can add glossifier or high gloss top coat if desired. It can be removed by peeling it, as if it were a conventional vinyl. Long research and development process from pioneers in the liquid vinyl spray for quality products. 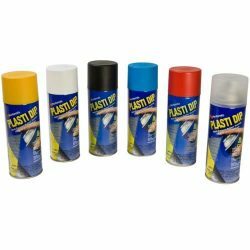 Full Dip 400ml spray covers up to 1.2 meters sq. Liquid Vinyl spray application, once dry becomes a tough elastic and durable film. It can be easily removed from most surfaces if required,Plastic,glass and metal. You will need an average of 4-6 coats. Add more layers for greater protection. 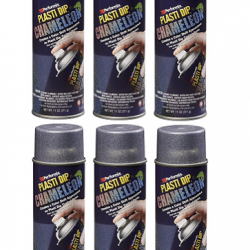 Sprayable Liquid Wrap in a Can. You can clean full dip cake pink candy pearl with most soaps, and it will resist water, mud or pressure water cleaning. No cracks or self peeling over time, remains flexible and stretchy, and will not become brittle or crack. Before you start spraying the liquid vinyl, you need to have the surface completely clean, dry and free of any substance that may be capable of causing non grip (as waxes, cleaners etc). It is advisable to ensure that the surface is clean as possible without dirt (such as sand , dust, road tar, brake dust etc.) Full Dip® will bond to the surface you spray it on, and thus, if the surface is not 100% clean, you will get imperfections and faults. So it is important you clean properly (even those annoying parts and between spokes on wheels). Cleaned perfectly and you will get uniform even finish that lasts years. Full Dip® can be applied to any surface such as metals, plastics, glass, wood, etc.. However it may best to do a small pre-test on an insignificant part of your project before committing to the full project to make sure it is 100% compatible to what you are spraying over with no adverse reaction. Shake vigorously before use. At least a minute to mix all the internal elements. Apply the product approx. 20 cm range. Always parallel to the surface you are spraying. You can apply as many coats as you want, keeping in mind that you will need an average of 4-6 coats.Base coat 2 or 3 and candy pearl 2 or 3 coats. But remember, that more coats you apply, the more durable it will be. The result will be better and more easily peeled if you want to remove in the future. Between coats, you must wait at minimum 10-30 minutes. Full dip will be touch dry in 10-30 minutes, but to be completely dry you need wait 12 hours. We recommend always use a proper PPE mask during application. Once dried / cured, your project is ready to use. 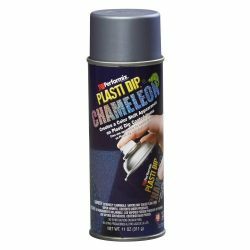 What ever your project apply 3 coats of matte black first and then 2 or more coats of your chameleon colour for amazing look to your project. 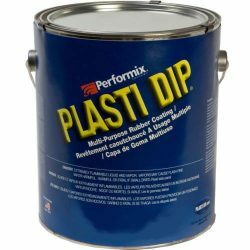 You will find Full dip and Plasti dip matte black on sale pages.